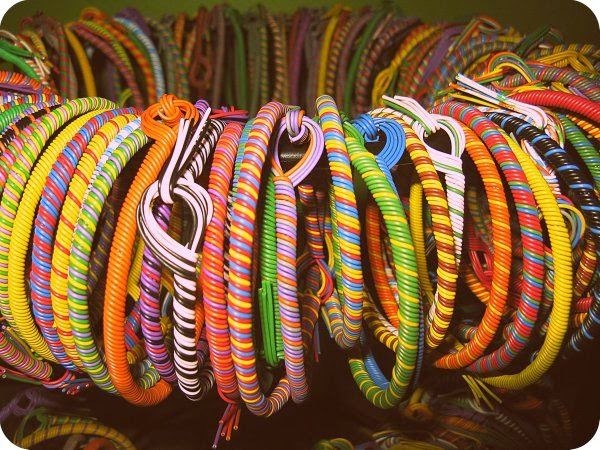 Does anyone else here remember making jewelry out of telephone wire? The finished bracelets, rings, or "choker" length necklaces looked similar to the picture above. We started with telephone wire, like what you see below. I remember you took one strand of wire as the base, and then picked another multi-colored wire strand. 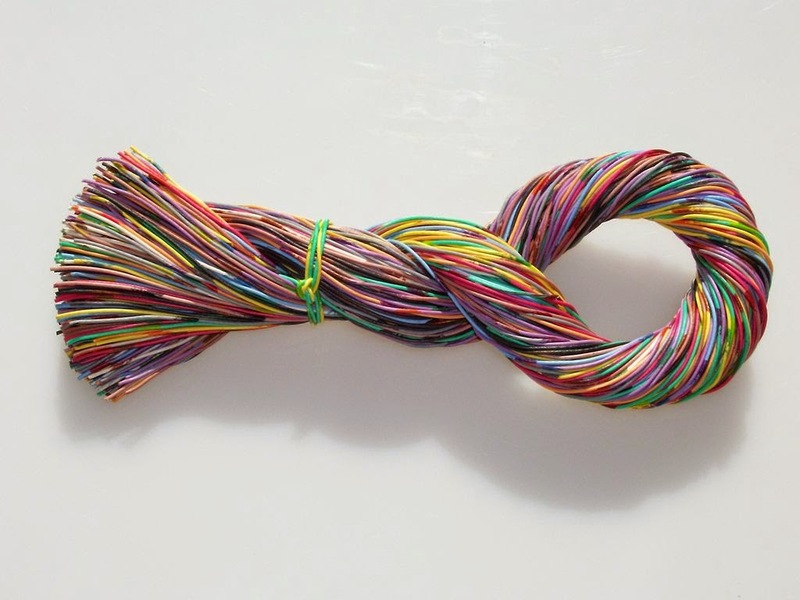 You then would neatly wrap the multi-color wire around the base. We closed the bracelets with a simple wire "hook" loop. I would actually love to find some colorful telephone wire to try this again. I love beading, especially with vintage trinkets, and this seems like a natural extension of that. Anyone have an idea where to find inexpensive telephone wire like this? Please let me know in the comments, below. I would also love to hear from you if you remember making telephone wire jewelry! Hmm, that's interesting Trish! I have never heard of telephone wire jewelry. The bracelets in the picture looked very colorful and pretty. You know my son-in-law works for AT&T. I'll ask him about this for you. Mary, a big thanks! I would be thrilled to find telephone wire again. Please keep me posted!